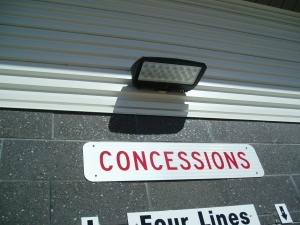 Linn-Mar parking lots use energy-saving LED lighting. Linn-Mar High School is a 9-12, 315,478 square foot building made up of ten different additions. It has approximately 2078 students and 212 staff. The building is primarily heated and cooled using natural gas boiler systems with chillers for cooling with various other systems supplementing the conditioning in the interior environment. 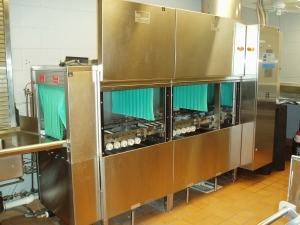 School water heating is natural gas. It is part of the main Linn-Mar campus electric system.